Try to book by Oct. 1. 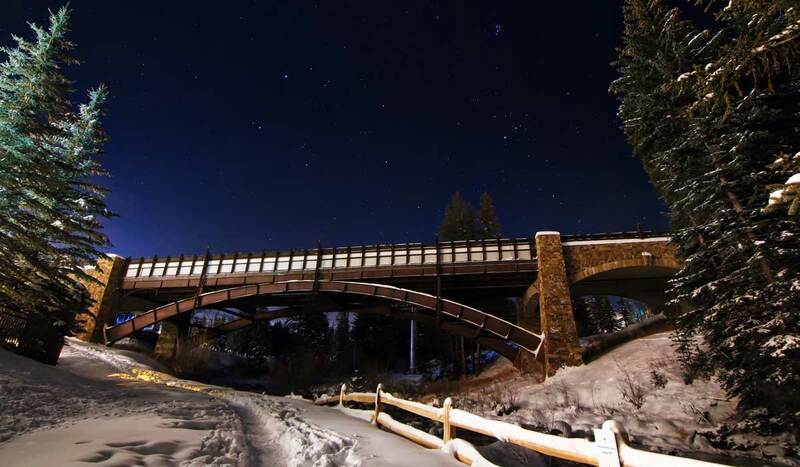 Lodging at Vail during the holidays books out quickly, and is considered a tighter market. 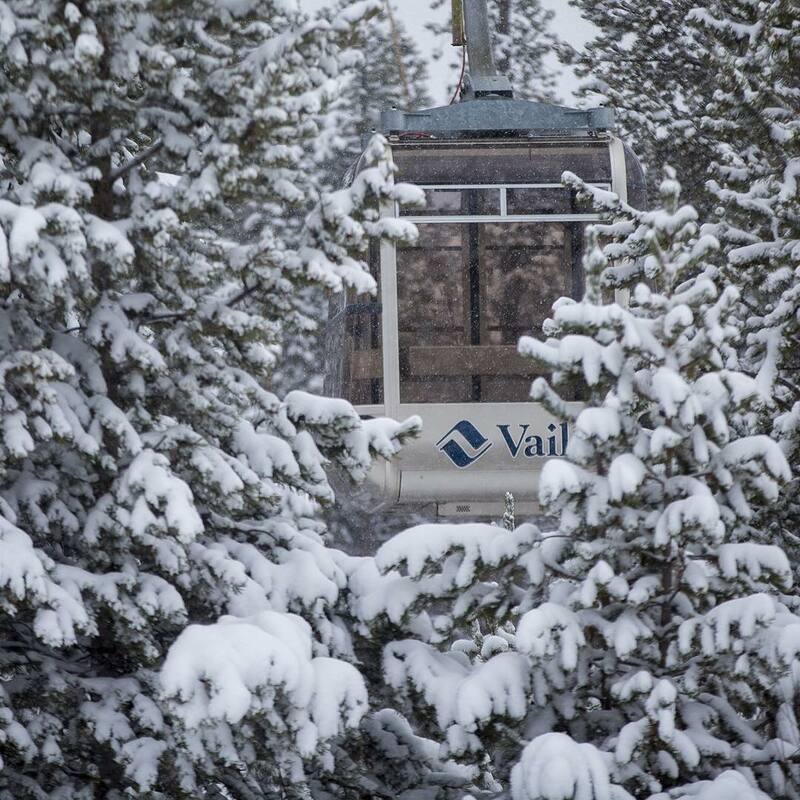 On average, 83% of Vail's terrain is open by Dec. 25. In 85% of winters, Vail is more than half open by Dec. 25, making it a great bet for holiday ski trips. While there are many Christmas and New Year's destinations to choose from throughout the United States, there's no better place to spend your winter holiday vacation than in Vail, Colorado. 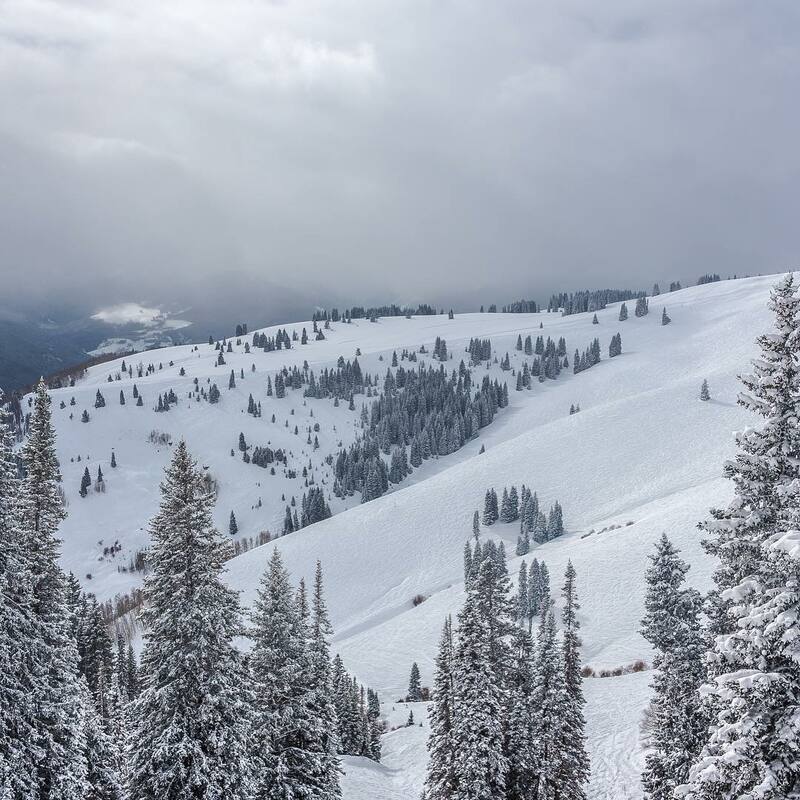 With more than 300 days of sunshine and just under 400 inches of snow fall on average per year, Vail is the ideal destination for a memorable ski vacation for friends, family and loved ones alike. Located in the central Rocky Mountains about 100 miles from Denver, Vail is the largest skiing mountain in the state of Colorado. Though Vail was first put on the map as a must-visit ski destination in 1962, it's incredibly charming town was actually built secondary to the Vail Ski Resort four years later. It didn't take long for Vail to become the most popular ski destination in the United States, a title which it still proudly boasts today. 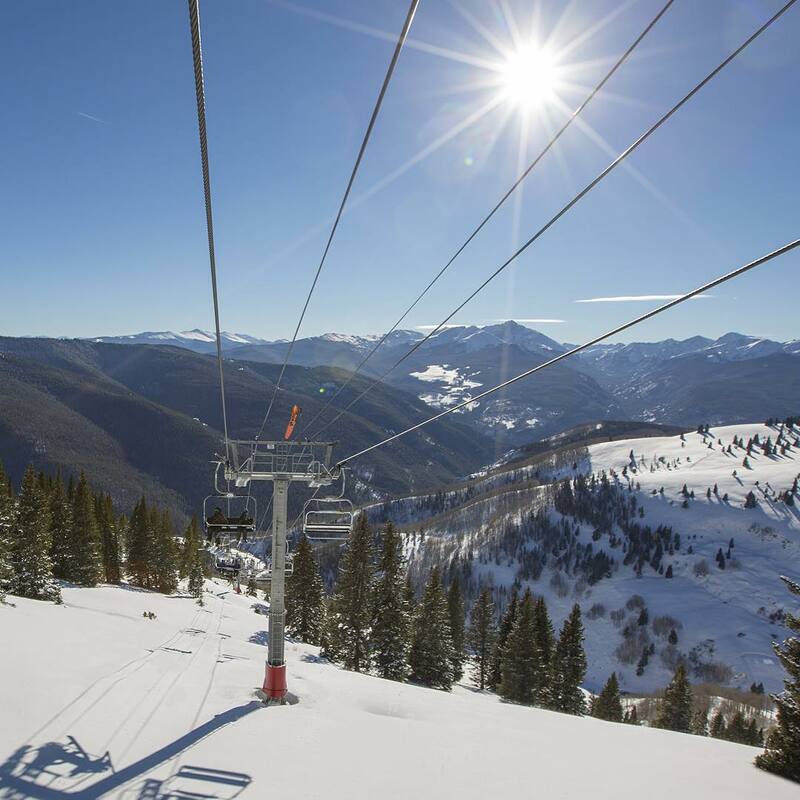 From mid-December to the beginning of January, the vibe of Vail is electrifying with the energy of hundreds of travelers who have traveled from both near and far to experience its legendary ski trails. Though Vail was built more than 50 years ago, it is still a booming destination with new restaurants, shops and accommodations continuing to be built and blossom. 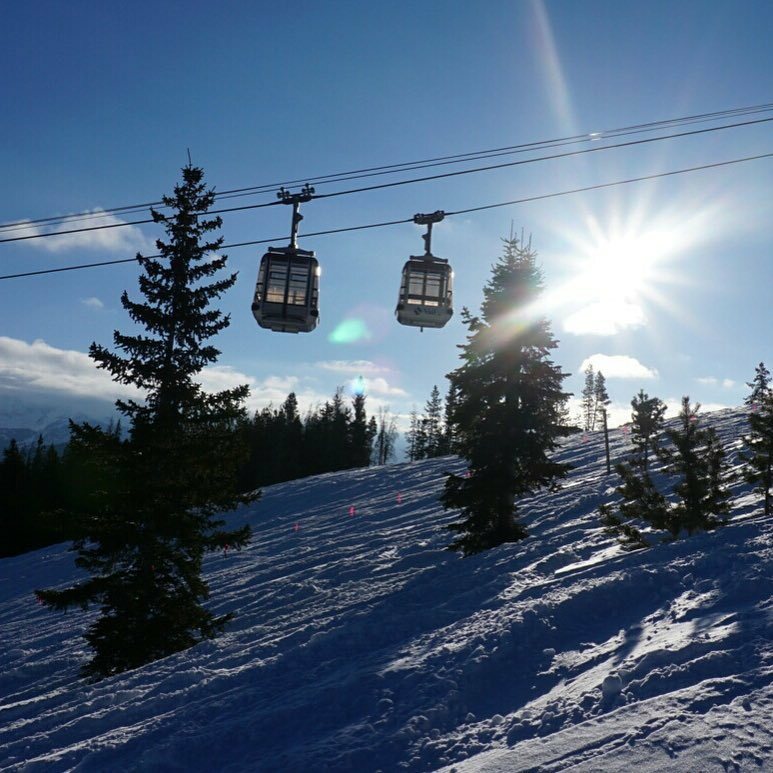 It's no wonder why Vail, Colorado is the best destination for your next holiday ski trip. At an elevation of just over 8000 feet, this wintertime ski destination is one for the history books. With three different villages connected by a network of cobblestone streets (that are actually heated! ), there are seriously an infinite amount of wintertime activities to partake in when visiting this coveted Colorado town. From skiing the beautiful mountain trails to hopping on a joyful sleigh ride, here are just a few of the amazing holiday vacation activities that await you in Vail. Nice gift: Shots like this can be yours this holiday at Vail. Just as you are unique, so are the options for lodging in Vail. Whether you're a big group of friends spending the holiday together, two lovebirds seeking a snuggle-filled romantic getaway, or a family looking to teach their kids the slopes, the ideal Vail hotel awaits. A variety of accommodations exist to fill your vacation desires including luxurious resorts that are slope side, charming bed and breakfasts in the center of Vail or cozy alpine village chalets on the slopes. 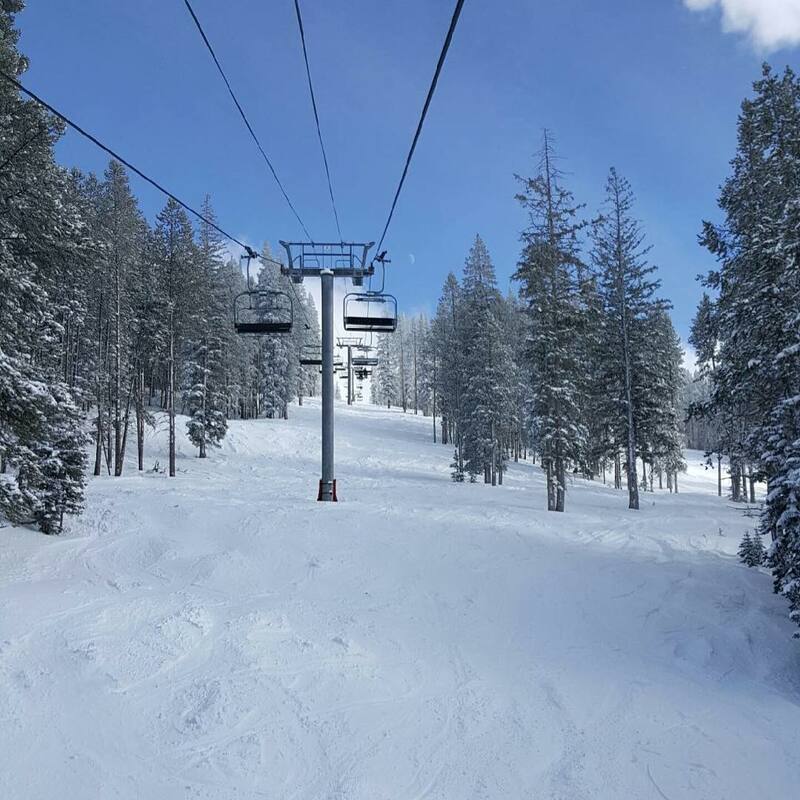 Prior to booking your trip, be sure to do your research to pick the ideal holiday ski vacation hotel and best Vail hotel deal to create your dream vacation. There are so many amazing lodging options in Vail, it would take lots of scrolls to get through, so we'll leave you with just a few of the most popular options. For luxurious amenity-filled options check out the The Sebastian Vail, Four Seasons Resort Vail or The Arrabelle at Vail Square. The Sebastian Vail - A Timbers Resort is a luxury resort part of the Preferred Hotels & Resorts collection with a plethora of amenities plus the convenience of ski-in/ski-out valet services making your ski experience hassle-free. Though the Four Seasons Resort does not have the ski-in/ski-out benefit of The Sebastian, they do have a three-story Ski Concierge building near Gondola One that's dedicated to assist their guests with equipment rentals. At both of these luxury resorts you'll have the freedom to dine in top-quality restaurants, indulge in relaxing spa treatments, get your power workout on at the fitness center, take a dip in outdoor heated pools and hot tubs, and much more. For rustic, lodge-like charm try The Arrabelle at Vail Square, located at the base of Eagle Bahn Gondola. As if steps away from the gondolas isn't enough, you can truly stay mountainside with their incredible four-bedroom, five-bathroom Game Creek Chalet located at 10,500 feet up, and is of course ski-in/ski-out in the Game Creek Bowl. For a more boutique experience filled with intimate charm, the Sonnenalp is a Vail lodging option that will allow you to feel right at home. This family owned five-generation hotel is located in Vail Village and prides itself on its European sense of hospitality. This spot also boasts many on-site amenities including a complimentary kids club to give the adults their much-needed private time during the holidays. Tivoli Lodge is another boutique hotel option in Vail Village that's more reasonably priced while still maintaining a sense of cozy Rocky Mountain charm. Many of their rooms even boast fireplaces. For those looking for more privacy and space to spread out, there are plenty of options for condominiums and private residences as well that may be even more budget-friendly than some of the larger resorts. Vail is located in central Rocky Mountains of Colorado within the White River National Forest about 100 miles away from Denver. If you live in state or in one of the surrounding ones, road tripping through Colorado is one of the most majestic drives you'll ever experience. If driving is not an option, flying into Colorado still leaves travelers with a few options. The Eagle County Regional Airport is just 30 minutes away from Vail and features a number of direct flights from various airports throughout the United States on major carriers. Connections into this airport are also available, though they may be on the pricier side. Another option is to fly into Denver International Airport, which has an even greater number of non-stop and connecting flights domestically and internationally. From Denver, Vail is about a two-hour drive. During peak times like the holiday season, be mindful of possible delays due to traffic or high snow fall. Rental cars and shuttle services from Denver directly to Vail are conveniently available for out-of-state visitors. Vail itself is a walkable town, so if you don't want the additional expense of renting a car, you definitely don't have to. Regardless, both flying over and driving through Colorado in winter time will be one of the highlights of your life, so be sure to keep your eyes glued to the windows. Vail Village turns on the magic during the holidays. Just like the immediate booming success of Vail Ski Resort, the culinary scene in Vail quickly followed suit. Aside from being one of the best destinations in the world for skiing, Vail has also become a world-class destination for restaurateurs and foodies alike. Before starting your day on the slopes, you'll need all the energy you can get. Start with a hearty breakfast from Westside Café & Market. Indulge in the Hungry Bear Breakfast or Chicken Fried Steak & Eggs. For a breakfast that gives you the thrills without the thrills head to The Little Diner to get the sustenance you need for the day ahead. Get an omelet your favorite way with all the fix ins or an egg sandwich that'll melt in your mouth. When the lunch time grumbles begin, head to The 10th. This on-mountain spot boasts not only the most gorgeous views of Vail's mountainscape, but delicious cuisine to get you refueled for the remainder of your day skiing up and down them. From homey comfort foods to healthy, gluten-free options, The 10th is an extremely well-rounded dining option filled with flavorful cuisine. For a mid-day pick me up, or any time of the day really, stop by Crespelle for a sweet or savory gluten-free crepe. Whether you're in the mood for The Pillow Drop, filled with chocolate ganache, toasted marshmallow and graham crumble or The Dirty Hippy with smoked bacon, kale, spinach, tomato, avocado and aioli, Crespelle truly has something to satisfy everyone's taste buds. Dinnertime is the perfect time for bonding during your holiday ski vacation in Vail. Head to Sweet Basil, a staple dinner spot in Vail since the 1970s. With the delectable options for small plates and main courses, it's no wonder it was voted as Most Popular Restaurant in Colorado by Zagat. For the most incredible sushi and Japanese-inspired specialties, Matsuhisa is an absolute can't-miss in Vail Village. The more the merrier with this restaurant, as sharing is highly encouraged. Especially since it means you get to try even more of famed Chef Nobu Matsuhisa's flavorful masterpieces. If you're a lover of wine and spirits, The Remedy Bar and 10th Mountain Whiskey & Spirits Company are two hotspots that will warm your heart. The Remedy Bar, located in the Four Seasons hotel, features floor to ceiling windows and mountain views with year-round fire pits perfect for drinking cocktails and sharing holiday cheer with the ones you love. At 10th Mountain Whiskey & Spirits Company, you'll throwback smooth and scrumptious cocktails from Colorado's prestigious distillery that uses local ingredients influenced by the mountain lifestyle. With virtually an endless amount of options for dining and drinking, Vail will have you singing Joy to the World on repeat. If there's one thing Vail is world-renowned for, it is the area's 5,200-plus acres of skiable regions with almost 200 marked trails. Before there was even a town of Vail, there was Vail Mountain Resort, a connection of Bowls, areas & trails that make it one of the largest ski resorts in the entire country. Though it may sound a bit intimidating to the first-time skier, what you probably don't know is that Vail is actually home to one of the biggest and best ski schools in the United States. With close to 20% of all trails set aside for beginners, there is plenty for those up on skis for the first time. For average to daredevil skiers, the number of options in Vail assures your sense of adventure will never cease. Of all the remaining trails at Vail Mountain Resort, close to 30% are considered intermediate while more than half, 53% to be exact, are marked for advanced/expert skiers. 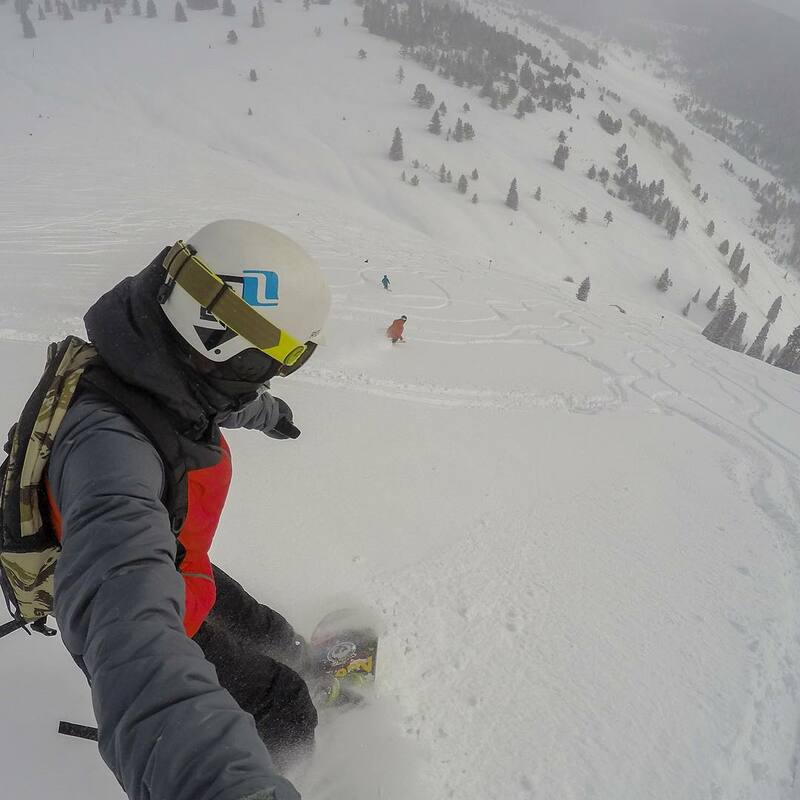 One cool feature of skiing in Vail is the opportunity to track and share your activity while on the mountain. When you arrive in Vail be sure to ask about how to sync up the EpicMix app, so you can measure all of your mountain activity and even share it with others on the mountain or in your group. Aside from skiing, there are a number of other incredible winter activities that will make your holiday vacation in Vail one your entire group will be reminiscing about for years to come. Feel like a night owl and go ski-biking via headlamp down the trails at night or feel the wind whipping your face and hair while enjoying a thrill on the snow tubing slopes. Practice your "Mush!" with powerful pups on an unforgettable dog sledding adventure with Mountain Musher Dog Sled Rides. To learn more about the legendary mountain you're spending your winter holiday vacation on, don't miss out on the Colorado Ski & Snowboard Museum and Hall of Fame or the complimentary Snowshoeing Tours of Vail's wild side by the Nature & Discovery Center. After a packed day of skiing, grab that long awaited, soul-warming mug of hot chocolate at The Sebastian Vail Resort or kick up your feet and cozy up with a good book at the Vail Library. Give yourself the R&R you deserve with a deeply relaxing five-star spa treatment at one of the many mountainside resorts. 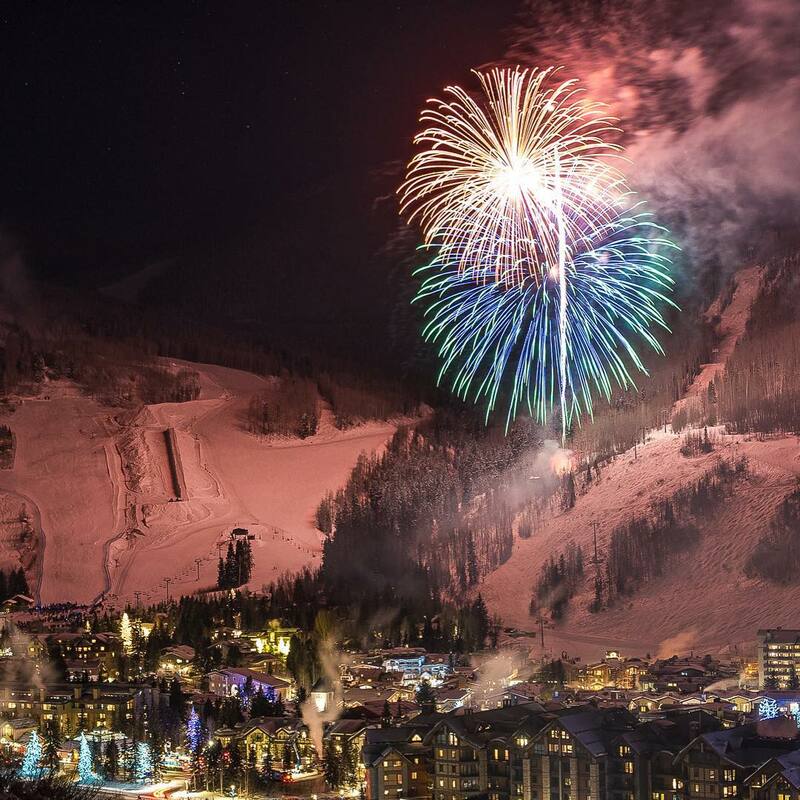 If you're counting down 'til the New Year in Vail, you won't want to miss the torch light parade. Grab a glow stick and join in or just observe the magical parade of skiers and snowboarders heading down the trail in glowing wonder. 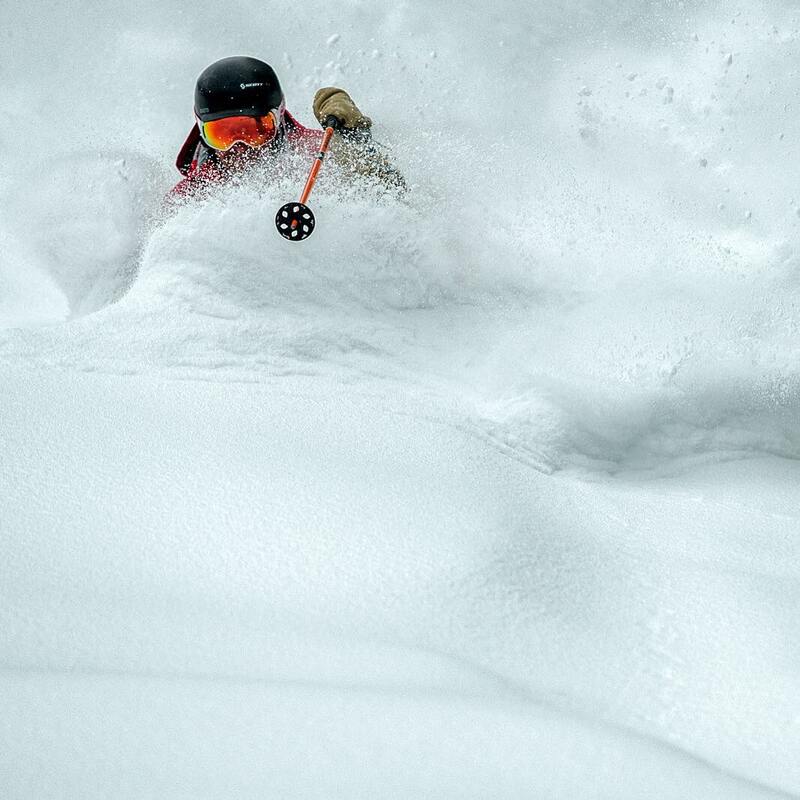 Vail's vastness offers inspiration—and pow. 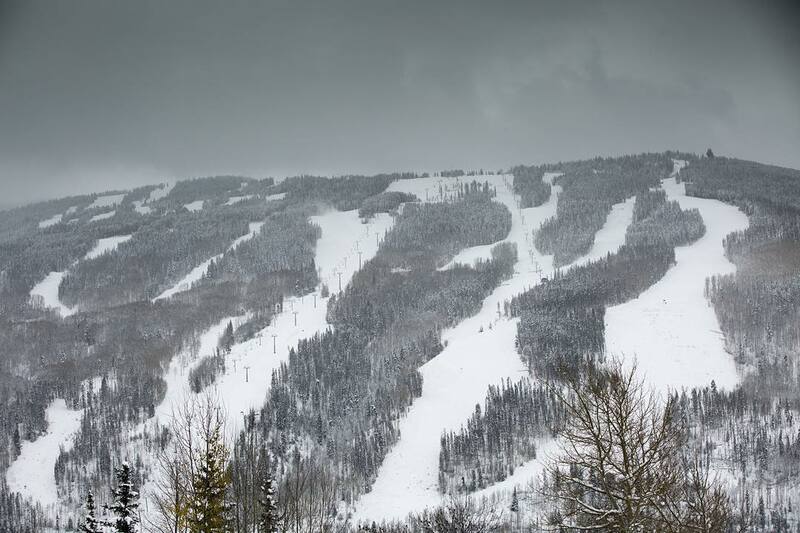 Vail's average annual temperature is about 37 degrees, with an average low of 26 and high of 51. 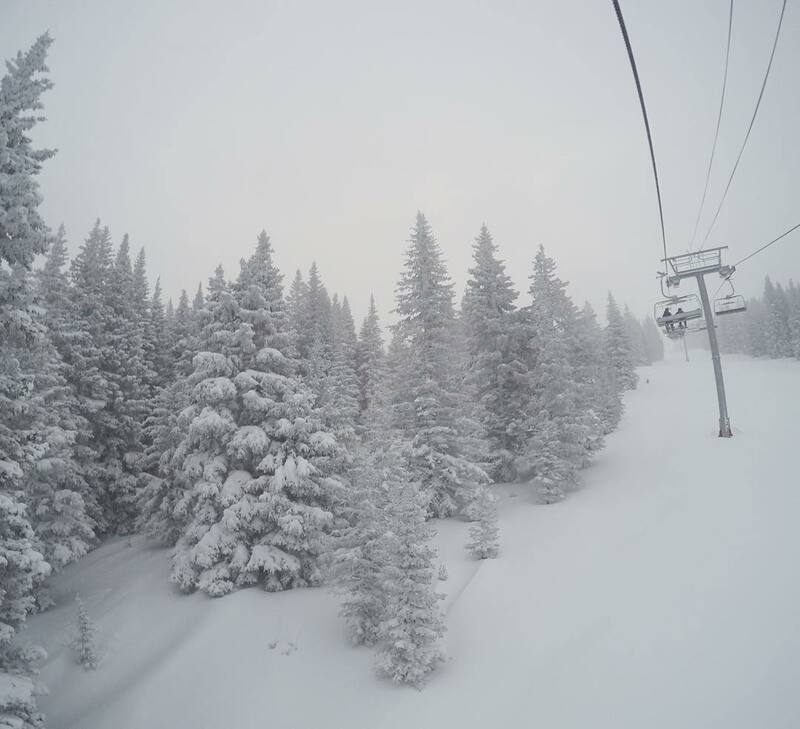 Average annual snowfalls in Vail sit around 189 inches of powdery white blankets. For your holiday ski vacation in December and January, expect to see lows of single digits with highs of freezing temperatures (typically in the 20s). 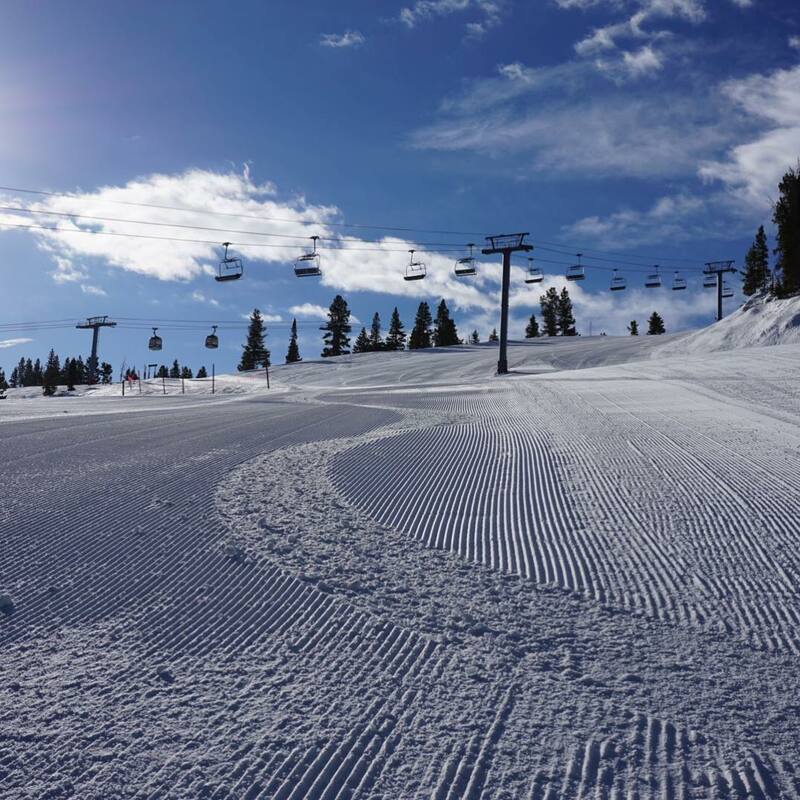 The winter conditions in Vail are ideal for a holiday ski trip of pure perfection. For the most incredible holiday vacation, look no further than Vail, Colorado. The contagious electricity and buzz of the holidays in Vail are unlike any other destination in the world. The legendary ski trails, endless amounts of accommodations and restaurants as well as the vast number of fun activities for families, couples and friends will satisfy and surpass all your holiday vacation requirements. So, what are you waiting for? Start planning your Vail, Colorado holiday ski vacation today! Clouds forming over Vail this afternoon. Light snow expected throughout the week. 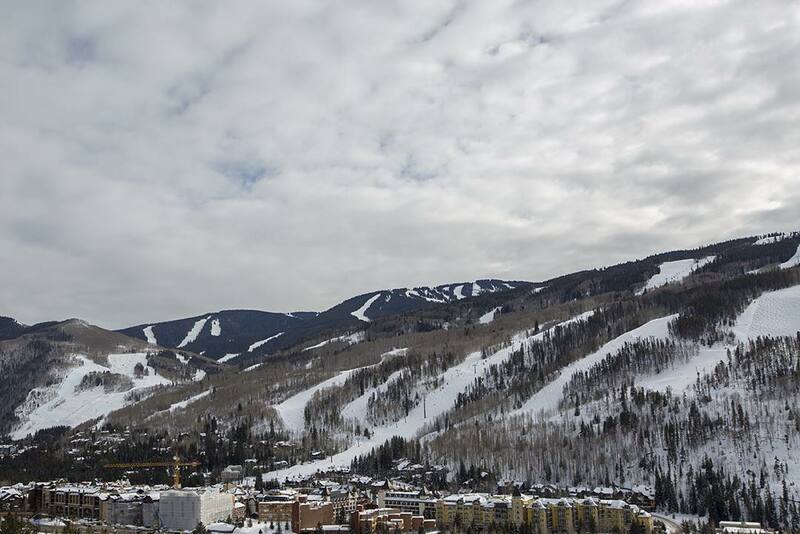 A lovely day in #Vail with lots of fresh snow. ZRankings has special rates for Vail!